I always feel much more enthusiastic when the sun us shining ... to do anything from shopping to gardening. And from some of the emails I have had then some of our friends in America are in a real heat wave ...well you don't need it all so why not send some here to the UK. We would be so happy for just a little bit more to spread through the year. 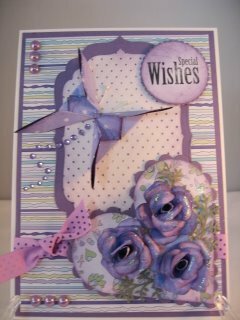 But no matter what the sun does I am always enthusiastic about cardmaking. I have been sat in my garden today and there wasn't a cloud in the sky. 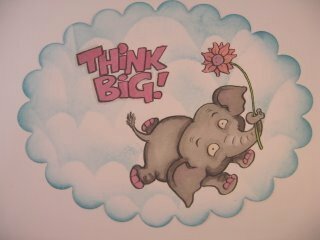 In fact the only clouds I have seen lately are those I have been adding to my cards as a background. 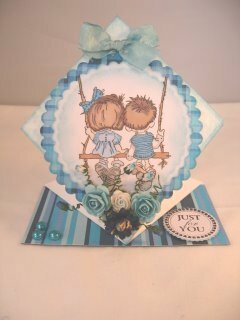 This little effect is very easy to do and yet can make your cards look exceptional. 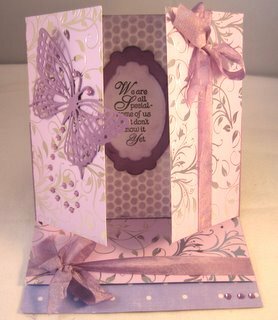 Another popular item to add to your designs is the beautiful Butterfly. I have included both the written instructions and short video for different styles of learning. The butterfly can be any size you want but start with a square piece of paper. 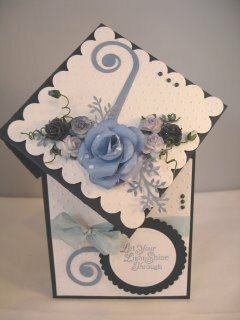 Many of the visitors to the website are new to cardmaking and are often stuck with where to go next. It gets a little tedious just folding card in half and working on that limited shape, and so I have added videos for two of the more unusual shaped cards. Springfold and the Diamond Top Cards. tutorials will show you the results that you can achieve with both these folds. And they are sure to please your recipients. I have also been having some fun mixing two styles of fold together. You all know how to make the Easel Cards now and I am sure you have tried the Gatefold too. There are endless ways to customize this card. Try making the gatefold into wardrobe doors and adding paper dresses to the inside. Or maybe a party themed front and some guests inside. Let your imagination loose and see what you can come up with. I hope you have a really good summer and if you are going away on holiday then have a good time and stay safe. As always my thanks go out to everybody for the support you give, the cards you submit and the lovely emails I get. Some of them bring a tear to my eyes with the friendship, love and sincerity with which they come. I may never meet you personally but it is lovely to chat with you through emails and it is always a pleasure to share with you some of the things I learn as I go through life. If you visit that page then would you please click the "Like" button and help to grow the fan club for the website. and leave your comments there on the cards that others have added too. And if you are asked a question then give the fullest possible answer that you can. It is great compliment for someone to admire your cards so much that they want to make one the same, and even more of a compliment if they ask your advice on how to make it.